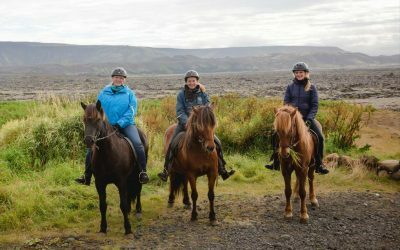 This exhilarating tour will take you quad-biking through an untouched part of Iceland’s iconic South Coast, replete with dark black volcanic beaches, mighty glaciers, icy-glacial streams and the isolated remains of a plane that crashed decades ago. 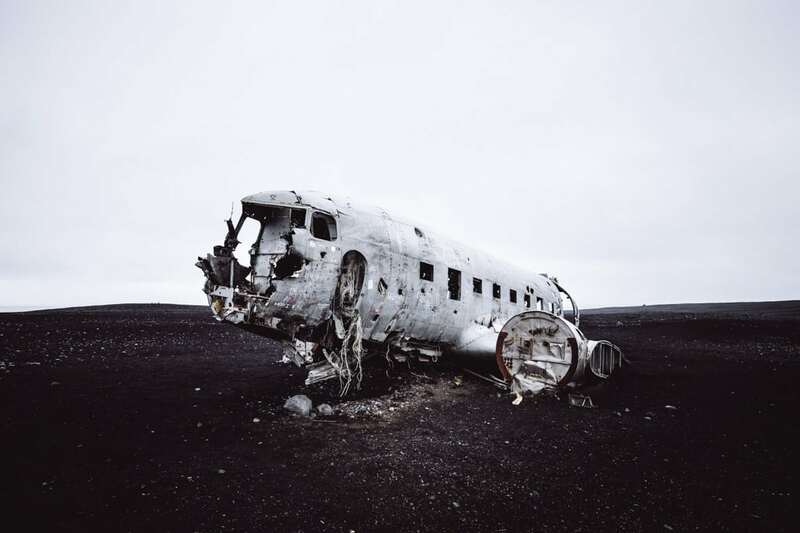 It is an area of spectacular contrasts, where white-crested waves wash against jet black beaches, rugged lava fields give way to imposing white glaciers and pockets of greenery dot the otherwise foreboding horizon. 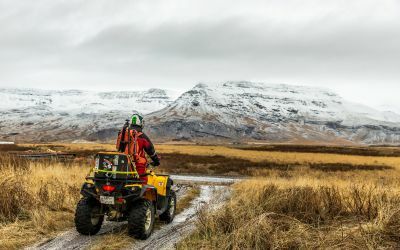 There is no better way to explore it than on the back of a quad-bike, allowing us to have some heart-pumping fun amidst stunning natural scenery. 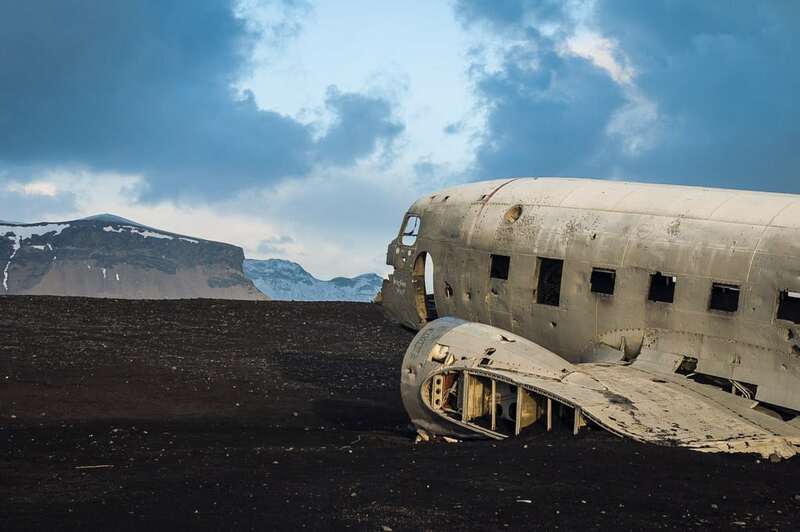 The tour will end in an area known as Solheimasandur, renowned for the lonely DC-3 Plane Wreck that occurred there many years ago: a place of profound natural beauty that your friendly guide will tell you all about. 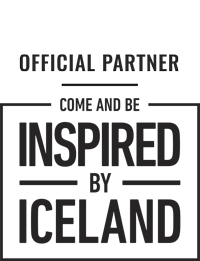 This makes it ideal for adventurous souls who want to go on an adrenaline-pumping ride through a genuinely magical landscape. 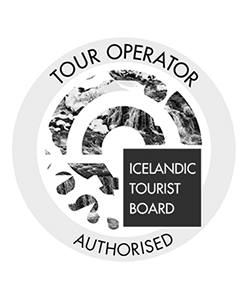 Our adventure begins when we meet at our base camp in the foothills of the mighty Mýrdalsjökull Glacier, where one of our professionally trained guides will demonstrate how to operate the ATV and give you all the relevant safety information. 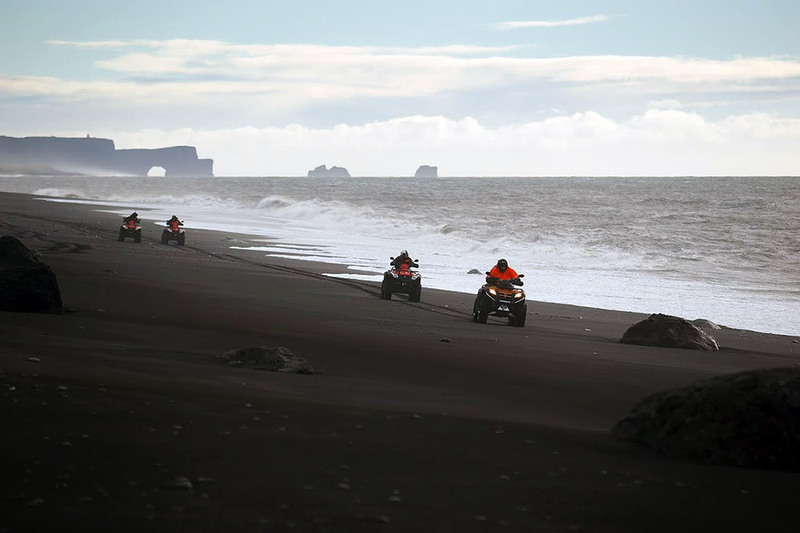 Then, once everyone is comfortable with the equipment, then we will ride out onto the coal-black sands into an otherworldly landscape crisscrossed by icy-glacial streams that provide a stunning contrast to the volcanically colored sands. 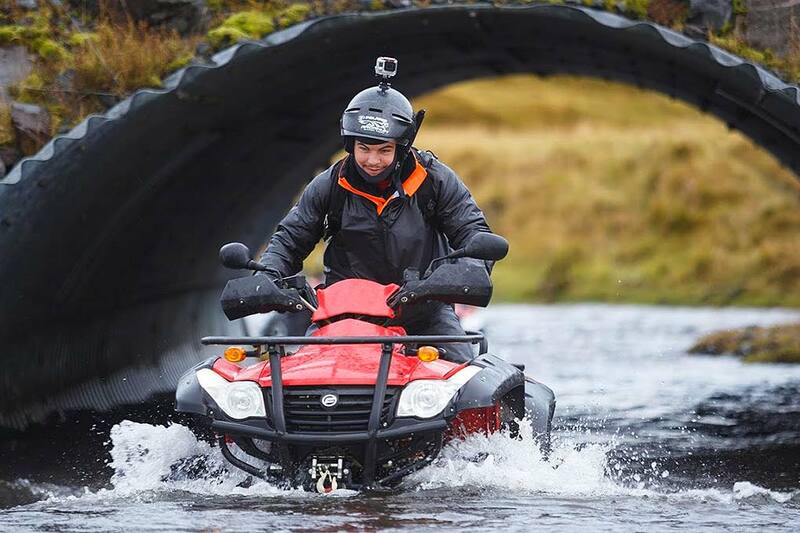 The ATVs are specially designed to traverse the rugged landscape and we will occasionally ford a stream, which is sure to get the juices flowing. 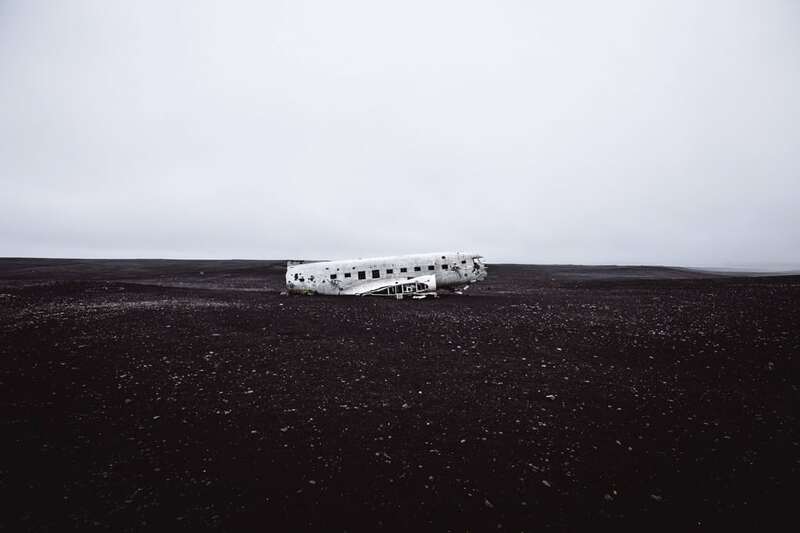 This one-of-a-kind landscape is located in the shadow of Katla, which was once Iceland’s most active volcano and helped craft many of the wonders that we see during our journey. 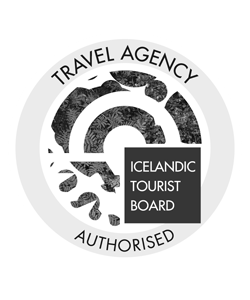 As we travel deeper into this remarkable world, we will arrive at a jet-black beach that is flanked by the mighty Mýrdalsjökull glacier on one side and the deep blue waters of the Atlantic on the other. It is a spectacular place of intense beauty and we will make a brief stop, so you can snap a photo and enjoy the spine-tingling beauty of the area. We will then ride further down the coast, where the white frothy waves provide a stark contrast to the dark volcanic sands. 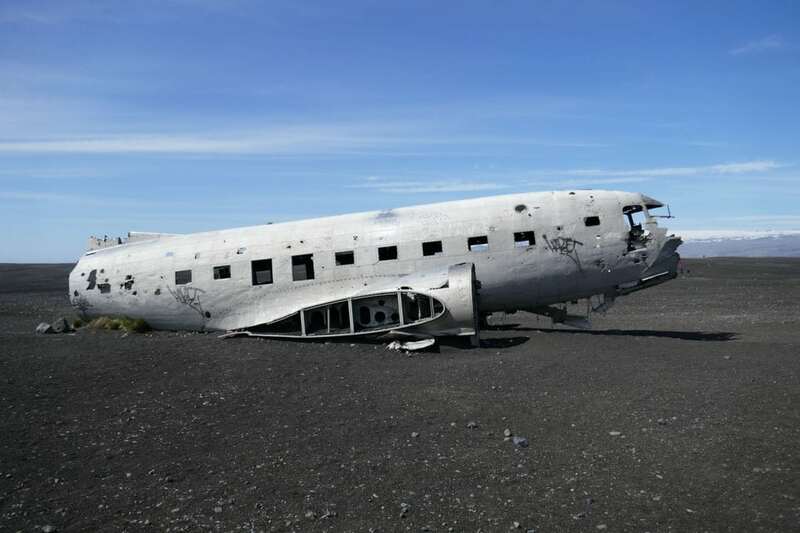 By then we will be nearing the lonely DC-3 airplane wreck, whose remnants stand as a poignant reminder of the 1973 crash that happened there. 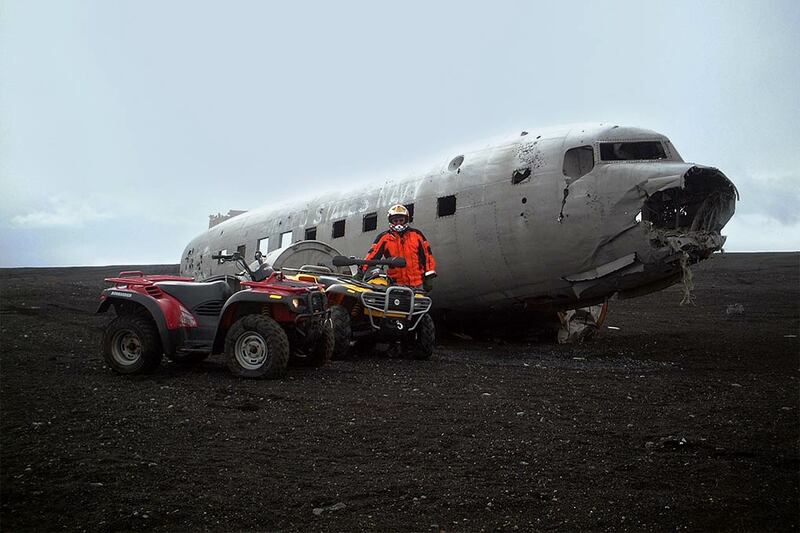 Fortunately, everyone survived the accident, which your friendly tour guide will tell you all about. 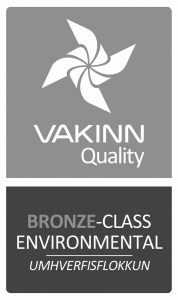 All visitors agree that it is a place of beauty and tragedy, where the synthetic meets the natural to provide a stunning photo opportunity. 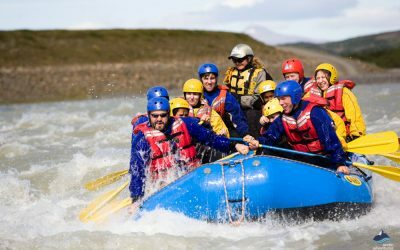 We will then make our way back home along the banks of the Jökulsá River, a stunning glacial work of art that hugs the foot of a mighty mountain and provides yet more gorgeous scenery. There is nothing more fun than riding a quad-bike in the shadow of an imposing mountain and it is an experience that you are bound to treasure. We will then return to base and say goodbye after an incredible adventure through a unique landscape. A valid driver’s license is required to operate the quad bikes.